Lack of sleep during the MYAU is a challenge for both the athletes and the crew. A good coffee goes a long way in making us feel better! 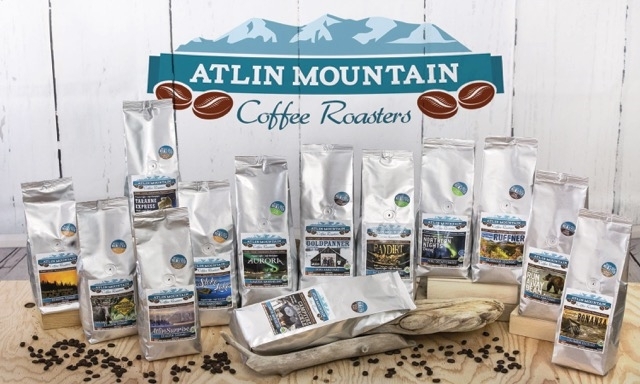 So, I did not have to think twice when Atlin Mountain Coffee Roastery offered to sponsor us coffee for our checkpoints. They love coffee, and they love the outdoors. The environmental and social ethos of this roastery reflects these values. Their unique wood-fired roaster uses local pine as fuel, harvested sustainably and split by hand. By roasting with radiant heat, beans avoid contact with smoke. The result? Fresh, artisanal coffee made with ethical beans and renewable energy. Going off-grid has never tasted so good. Checkpoints where we intend on having this great coffee is Muktuk Adventures, McCabe, Carmacks an Pelly Crossing.